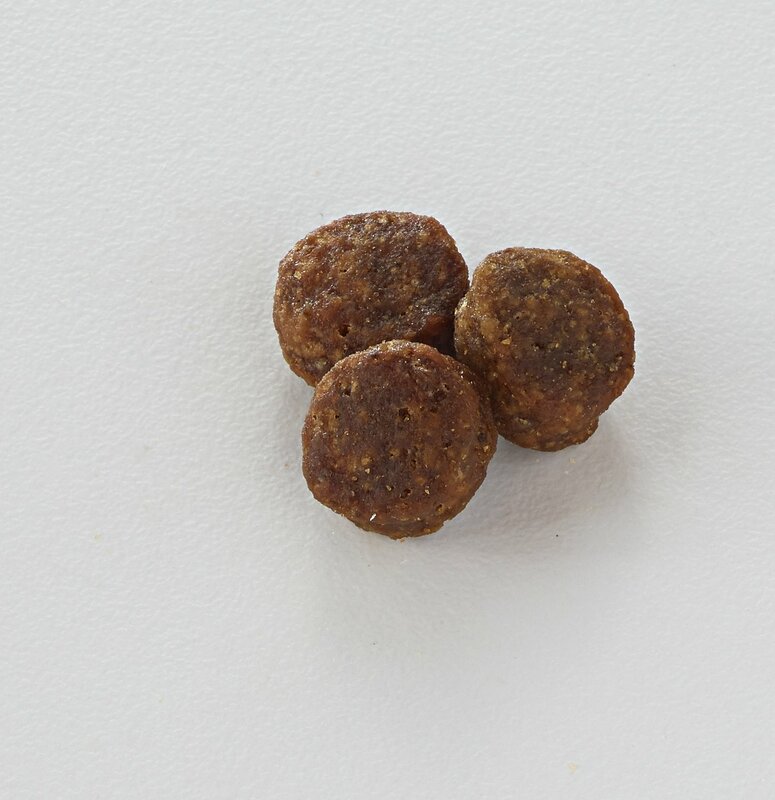 Cater to your dog’s dietary needs with the Nutro Limited Ingredient Diet Adult Salmon & Lentils Recipe Dog Food. Specially crafted for adult dogs, this clean diet can help minimize food sensitivities, make digestion easier, and ensure that your dog receives the natural nutrition he needs. Offering a premium taste packed with metabolism-enhancing nutrients, each bite is infused with optimal levels of omega-6 fatty acid, zinc, and B vitamins to guarantee a soft coat that shines. Plus, this limited-ingredient formula is made without corn gluten, corn, wheat, or soy protein. Number one ingredient is salmon, which delivers amino acids to build muscle and maintain a healthy metabolism. Always made with 10 ingredients or less plus natural flavors, vitamins, minerals, and other nutrients. Promotes optimal digestive health in dogs with sensitive stomachs and helps to nourish sensitive skin and deliver a shiny coat. Made in the USA with non-GMO ingredients and absolutely no artificial colors, flavors, or preservatives. Clean recipe is expertly tailored for adult breeds using non-GMO ingredients. 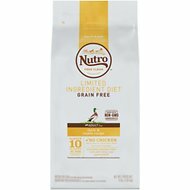 NUTRO Limited Ingredient Diet dog food is made using 10 key ingredients or less plus natural flavors, vitamins, minerals and other nutrients to provide complete and balanced nutrition for adult dogs. Ingredients that commonly cause food sensitivities, like chicken or beef, as well as corn, wheat, soy and dairy protein, are all left out of these grain free recipes. Give your dog a wholesome meal that not only tastes great, but will help keep your pet's coat silky smooth. These recipes are made to fit the needs of your pet from a limited number of select, recognizable ingredients. They're made with just 10 key ingredients or less plus natural flavors, vitamins, minerals and other nutrients. And these recipes include high-quality ingredients like lamb, salmon or venison meal for protein plus sweet potatoes that provide your pup with energy. NUTRO Limited Ingredient Diet dog food steers clear of ingredients that dogs may be sensitive to, like chicken or beef. On top of that, all of the L.I.D. 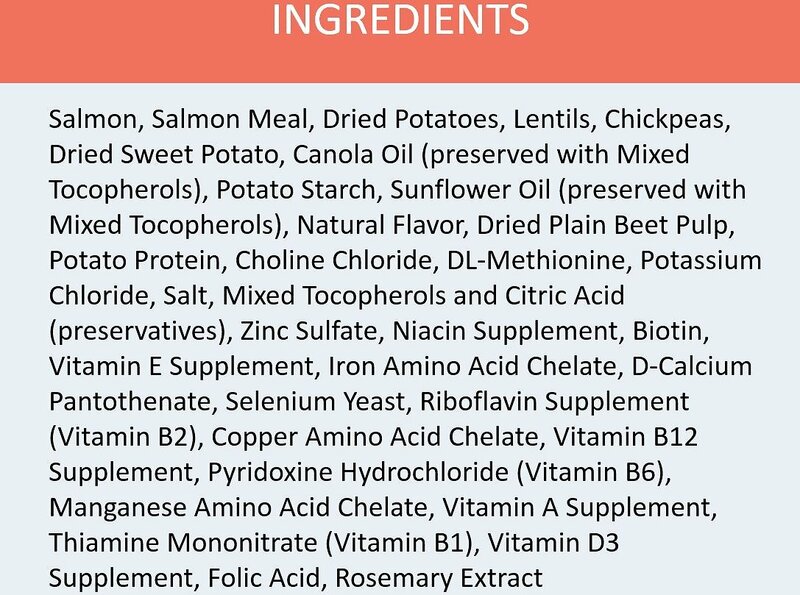 recipes are grain free with no corn or wheat, and you won't find things like artificial flavors, colors or preservatives in any of these formulas. NUTRO brand strives to create high-quality food and to provide pets with real, recognizable ingredients with a purpose for their overall well-being. That's why NUTRO developed their FEED CLEAN Philosophy–crafting recipes that are simple, purposeful and trustworthy. Each dry dog food recipe is made with non-GMO ingredients† that come from trusted farmers and suppliers, and are made without chicken by-product meal, corn, wheat or soy protein and no artificial colors, flavors or preservatives. Solved my Golden’s digestive issues! I rarely write reviews, but nitro salmon solved the digestive issues my 9 month Golden was having!!! He has very sensitive tummy and he was refusing to eat his prescription food. He had small intestinal dysbosis (over production of bad gut bacteria) and we believed he had a chicken allergy too. Anyways within 3 days of switching to this food he didn’t have diarrhea anymore and had normal hard stool. He eats all of it everyday!! I couldn’t be any happier with this food! Good transition from from prescription food!! No more itchy, red, and raw skin patches! After many months of veterinary appointments, with special wash and rinse allergy aids, I decided to do my own research. Our dog can not tolerate chicken in her main food supply. I did a gradual (over 7 day) introduction to this food, and found the ingredients in her other dry food were the cause of her itching and red and raw patches. Her coat filled in thick and shiny. She likes this food. During the introduction, she was picking it out of her older brand and only eating her Nutro Salmon & Lentil. My dog was having severe allergic reactions, seemingly out of the blue. I quickly found a food with limited ingredients to narrow down the possibilities for the itching and hair loss. Nutro was my first choice and the best choice. My dog hasn't looked this good in long time. The itching is gone and his coat looks amazing! You can't go wrong with this one. I've been trying different types of the Limited Ingredient dry dog food (e.g. lamb, duck...). My dog has been becoming choosier lately. So far, she is eating everything and I hope will continue to stay enthusiastic towards her kibble. Both of our Labradoodles are on this food and do very well. The free 2 day shipping is so convenient. I love having it arrive at the door so I don't have to lug it home from PetSmart. Our Bulldog Beefy Loves It! Highly Recommended for Sensitivities. 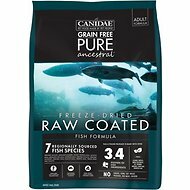 Excellent product , our dog loves it , he has chicken allergies so this product Limited Ingredient Diet Salmon & Lentils Recipe is perfect, the plus to this is that the kibble size and flavor was a hit with our German Sheperd . I have 2 picky eaters and one with sensitive skin - constant itch and ear infections. I've tried a few different foods for sensitive skin, limited ingredients with mediocre results. But this food is awesome! Both dogs LOVE the taste and eat it up as soon as it's served. It's too soon to tell for sure but my Penny is itching less and is not shaking her head or digging at her ears. I think this one might be the WINNER. 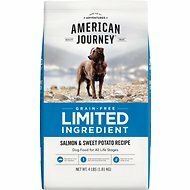 We switched our dog to Limited Ingredient Salmon about two months ago while trying to rule out food allergies. While we have been able to determine that she has no food allergies, and her allergies are environmental, we chose to keep her on this food due to the fact that a unforeseen benefit is no more bad gas. I highly recommend this food for dogs who have furious flatulence. 100% easy and convenient! It took the hassle out of going to the store for one thing!